The first aim of the OSR is to collect and organize in-situ and remotely-sensed data in order to serve pluridisciplinary research works on various environmental issues related to agriculture, biodiversity, water and carbon management…. The second aim of the OSR is to favor the development of tools and services for territories management through space technologies applications, falling within the framework of the “GMES downstream services”. To achieve this goal, partnerships are built between laboratories, end-users (eg. local authorities, decision makers) and private companies. These partnerships are based on the sharing of information. In total, 135 micro-meteorological variables are recorded every 30 minutes at each site. They include air temperature and humidity, air pressure, soil temperature and humidity at 0-5, 5, 10, 30, 100 cm depth, soil heat flux at 5 cm depth, global (shortwave and longwave) and PAR incident radiation, global (shortwave and longwave) and PAR reflected radiation, albedo, transmitted PAR, diffuse PAR and global shortwave radiation, NDVI, PRI, surface temperature, soil CO2 and N2O fluxes (automatic chambers), net CO2, water, sensible heat fluxes by means of the eddy-covariance method… Details concerning biomass, LAI and soil humidity measurements are presented in the Table 2 of Annex 1. 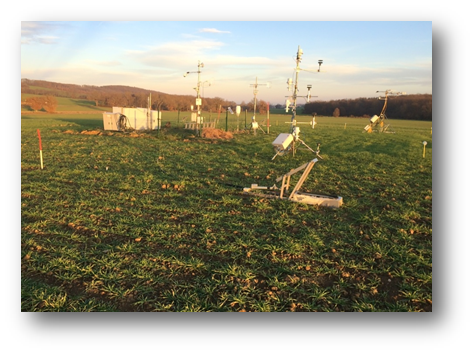 Figure 4: The Lamasquère site from around the micrometeorological station. Additional measurements of LAI, biomass were performed over the OSR area. See Table 2 in Annex 1 for details. Also ground truth for Land Use were collected 4 times during the year on approximately 450 plots (see Figure 6). 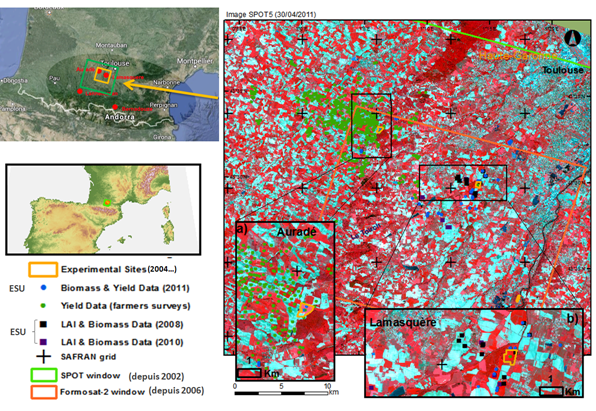 Figure 6: Lande use Monitoring campaigns have been carried since 2006 with approximately 450 plots monitored each year (see yellow and red fields on the map below) and up to 1500 in 2015. Next growing season, will you maintain your current approach, or modify the approach? If you plan to modify, please describe your new approach. In the frame of the Sensagri and Bag’ages project (financed by the Adour Garonne Water Council), we plan to develop SAR data assimilation in our modelling approach of biomass, yield, C & water fluxes and budgets by using the SAFYE-CO2 model. We also plan to account for the effect of cover crops or crop regrowth on thoses fluxes and budgets. Also in the frame of the Bag’ages project 9 micro-meteorological stations will be installed (see Figure 10), covering a soil (from very dark to clear) and climatic gradient from the south-west part of France till the Eastern Pyrenees. 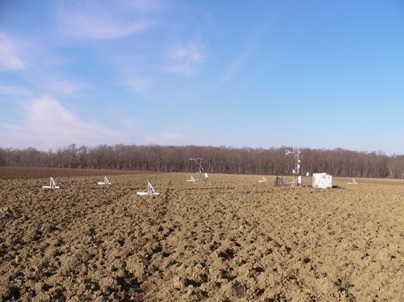 Those stations, installed on cropland with contrasted management, will allow us to monitor air/ sol surface temperature, air humidity, precipitations, soil water content profiles from surface to 1m deep, ETR, incoming/outgoing shortwave radiation (albedo), incoming/outgoing longwave radiations. Automatic cameras will be used to monitor daily crop phenology/soil status/crop management. Those measurements will be used to validate high resolution albedo GAI and SWC products (some of them being developed within the frame of SENSAGRI). Finally, close to 1000 plots will be monitored 5 time a year to follow land cover (mainly on croplands) and crop management within the frame of the Sensagri project. 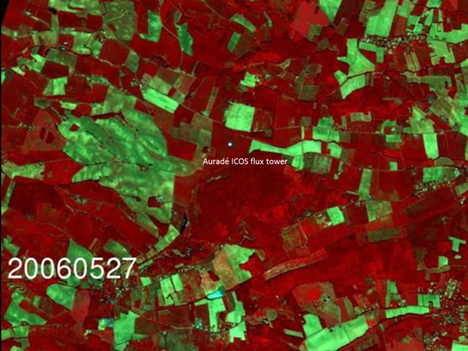 Those data will be used for validation of dynamic high resolution land use maps. Auradé only receives mineral fertilisers whereas Lamasquère receives both mineral and organic fertilisers. Lamasquère is irrigated when maize is grown. Irrigation at Lamasquère when maize is grown. 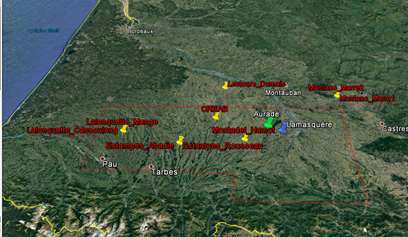 Figure 2: Formosat-2 image from the area around the Auradé experimental plot and its micrometeorological station on the 27th of May 2006. In total, 135 micro-meteorological variables are recorded every 30 minutes at each site. They include air temperature and humidity, air pressure, soil temperature and humidity at 0-5, 5, 10, 30, 100 cm depth, soil heat flux at 5 cm depth, global (shortwave and longwave) and PAR incident radiation, global (shortwave and longwave) and PAR reflected radiation, albedo, transmitted PAR, diffuse PAR and global shortwave radiation, NDVI, PRI, surface temperature, soil CO2 and N2O fluxes (automatic chambers), net CO2, water, sensible heat fluxes by means of the eddy-covariance method.